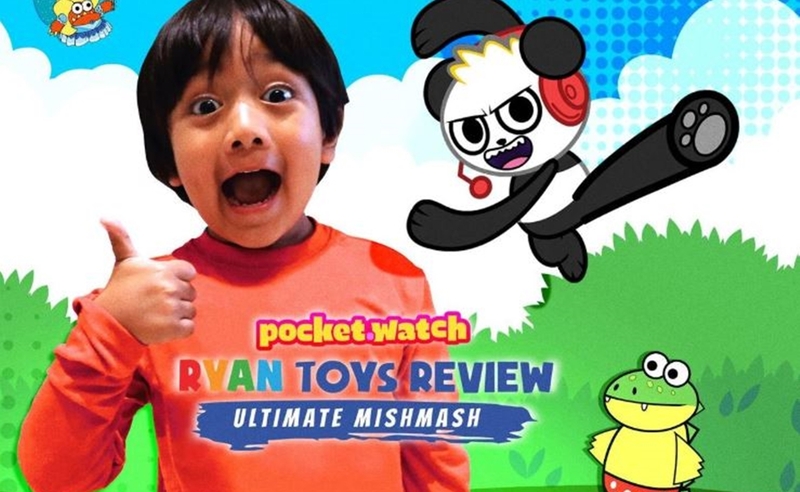 Ryan ToysReview, arguably the biggest children’s channel on earth, may have gotten his start on YouTube, but Pocket.watch — the network to whom Ryan is partnered — is envisioning a cross-platform future for the eight-year-old phenom. Pocket.watch has repackaged content from Ryan’s channel (which has a cool 25 billion lifetime views) — as well as content from its other kid-friendly creators including HobbyKidsTV, EvanTubeHD, JillianTubeHD, and CaptainSparklez — into half-hour shows that it is now distributing on both Hulu and Amazon, Variety reports. In addition to these compilation shows, which are titled Mishmashes — with each episode consisting of best-of clips from the aforementioned YouTubers — Pocket.watch is also producing original content for Hulu and Amazon. A second show format, titled Pocket.watch Challenge Squad and shot at the company’s Culver City studios, is inspired by Pocket.watch’s YouTube channel of the same name (130,000 subscribers). It features different creators attempting kid-friendly challenges, like candy taste tests. Finally, a third format titled Pocket.watch Digital Superstars will compile videos from all the YouTube stars in Pocket.watch’s network, launching this winter. To date, Hulu has non-exclusively licensed a total of 90 Pocket.watch episodes, while Amazon is carrying about 40 episodes through its Prime Video Direct self-publishing program, according to Variety. Furthermore, the company has signed a pact with Paramount Pictures to sell all three formats to global distributors. Paramount — whose parent company Viacom led Pocket.watch’s $15 million funding round in July — will be shopping the shows next week at Mipcom in Cannes. Pocket.watch has other original content ventures in the pipeline, including a live-action sitcom for Nickelodeon called Skoogle — which is created by and set to star Saturday Night Live cast member Kenan Thompson. And beyond video, Pocket.watch has successfully ventured into the merch realm with Ryan’s World — a toy and apparel line at Walmart and Target. On Oct. 23, Pocket.watch will debut its first-ever book, Watch This Book, published in partnership with Simon & Schuster, providing a behind-the-scenes look at the lives of its top creators.